It’s based on the law of attraction. And according to it, if you think about something, it will magically manifest in your life. It says the universe will provide it to you. Rhonda Byrne talks about laws of Quantum physics to prove her arguments right. Quantum physics doesn’t work that way. It doesn’t tell you the real deal which is hard work. Who is Rhonda Byrne? She’s an Australian television writer and producer. Her job is to produce and market content. The book is well marketed and they made a documentary that just hypnotizes the masses. The first rule of marketing/negotiation is to play with the emotions and get them involved. Human beings are emotional creatures; we ignore logic when we are emotionally invested. Don’t fall for marketing gimmicks. If you worry about not having enough money the universe will respond in kind and you will always be poor. If you believe that you are rich and successful, the universe will respond to these vibrations and soon grant you with the wealth and success you longed for. Thoughts can only control how you feel and how you react. Thoughts can never control the ‘world’. Consciousness does not influence reality, unless you have psychic powers. You attract something only when you ACT on it. Of course, there’s destiny, there’s luck but hard work trumps’ all. Quantum physics doesn’t work on your lady crush. The key to getting anything is action and focused action more so. Freedom fighters didn’t sit and think about independent India; they bled for it every day. You have to be the conscious co-creator of your destiny. Setting your goals is step one. You want something? Alright, are you worthy enough? If you want to achieve something; become the person towards whom that thing will gravitate. A few things most men desire are – Money, Fitness, Women. They don’t fall into your lap. If you get more money, what will you do? If getting a new BMW is your first answer, you aren’t worthy. What do people with money do? They don’t buy liabilities, they invest and buy assets. Become the person who respects money; become the person towards whom money will gravitate. Invest in your body, invest in your mind. Yes, it’s expensive, do it anyway. Don’t try to save dimes and nickels, instead become valuable. That’s how you earn big money! You got that gym membership. You started taking protein shakes, creatine, and all fancy supplements. You lose some weight in the beginning. You feel your arms getting tight but the muscles don’t seem to grow. You get lost and then the trainer in the gym suggests you to buy BCAA’s or some other supplement. Sounds familiar? Instead of desperately searching for next breakthrough supplement for growing muscles or burning fat, work on your diet and train accordingly. Most men are disappointed with their dating life. They read all the PUA (read pick up artist) stuff, try the best pick-up lines but women still don’t find them attractive. If having a 10 or even 7 as a girlfriend your goal, then work on yourself first. Become a 10 yourself. Focus on your skills, expand your knowledge and learn new things. Lift weights, do those squats, crush those crunches. With all that strength and testosterone your confidence will shoot 200% and guess what, you won’t need a pickup line. Take responsibility. Take control. And it will be a matter of time until slowly, effortlessly, the things you always wanted start coming to you. I was a cool guy in my college. And my time was usually spent hanging out aimlessly with my buddies or else the girl I was dating at that time. Much of my time was wasted. I admit I had no sense of self, I always starved for approval and recognition, and my image rested on what others thought about me. I found happiness in junk food and labels. Fast-forward two years after college; I started a retail business but I lacked focus and purpose. I treated work as work; it was not fun for me. Every day was the same. I moved to another city it was a new business and in the beginning, it wasn’t doing as good as I had expected. I started questioning my abilities. I never exercised and my nutrition sucked big time. I totally lacked mind muscle connection. But, I believed in the law of Attraction(guilty), I thought I deserve it all and good will come my way; it will only be better. One of my ex-girlfriends quoted me – ‘ManChild’. I guess I didn’t know what it meant to be a man. I never lived in the moment. I was scared of being alone. I couldn’t sit by myself in a room doing absolutely nothing. I was always in a hurry. Even on a beach vacation, I would hurry to go to the next beach. If someone had asked why do you want to go to the next beach or where do you want to go? I’d have no answer. I couldn’t concentrate on anything. And a doctor friend diagnosed me with ADHD. I had trouble sleeping. I didn’t know what I wanted in life, I was lost. If I had gone to a doctor, they’d have given me medication for ADHD/depression or some drug so that I could sleep. I guess I was suffering from the quarter-life crisis. And that was when I embraced life with both hands. I realized it was time to make a change. I had to make a move but I didn’t know where to start. I always wanted a great body. I hit the weight room. I knew it has to be done now. I knew if others could do it, I could too. In the gym I learned how to endure pain. I learned a lesson for life, “If you want something, you’ve got to work for it every day,” which puts momentum on your side. I learned my body is a high performance engine that functions 24*7 and I started fueling it accordingly. My body transformed and with it -my mind. My clothes fitted better. I became confident and authoritative. I got comfortable in my skin. Saying NO became easier. Ostracizing negative people became a habit. My friend circle changed. I started taking initiatives. I traveled, made more money, women showed up. I saw my thoughts finally manifesting in the real world. But that was only after I started putting in the necessary Action. 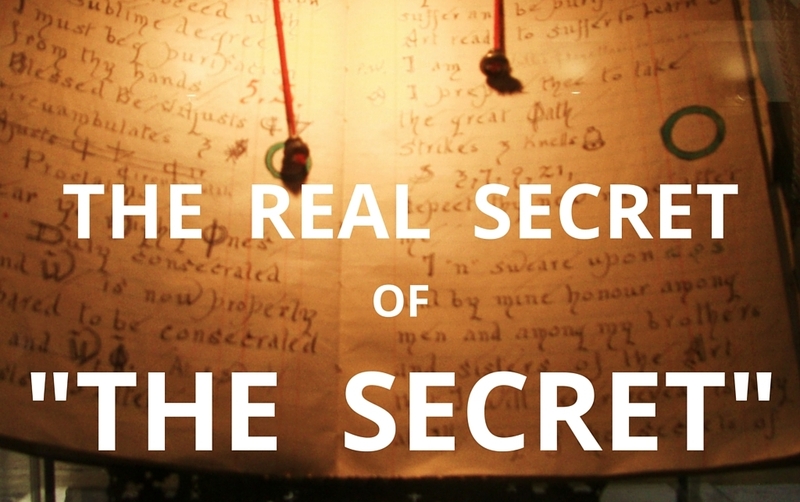 That’s The Real Secret of ‘The Secret’ – Action over Intention! Staying positive is good but it won’t be much of a help. In-fact fantasizing leads to less action. Thinking positive will not make you better, becoming a better person is not easy; you have to put in the work! You have to build a newer version of yourself. Hardships you go through now will prepare you for an extraordinary destiny. Always think big. Don’t wait for anything, work towards your goal every day. If you haven’t found it yet, keep working on. What next – doesn’t matter! Important thing is to move. It takes a lot of hustle before you are finally able to connect the dots. But then again, if you don’t intend to, you won’t take the action. Set intention and do it.